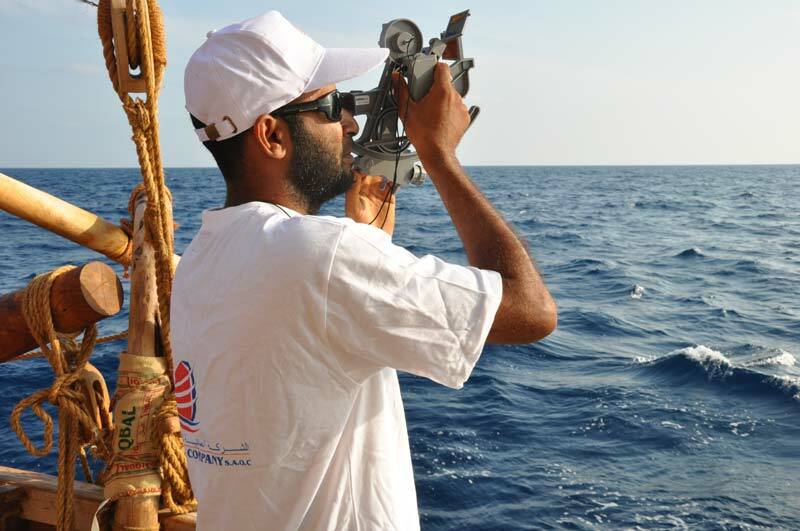 During the voyage the crew used traditional 9th-century navigation tools such as the kamal, as well as modern techniques to further our understanding of ancient navigation techniques. Following the ancient routes followed by Omani sailors centuries before them, the ship was blown by the seasonal northeast monsoon wind. The aim was to time Jewel’s voyage so that, as ancient sailors did, Jewel’s crew could then wait for the monsoon wind to turn towards the southwest to blow them across the Bay of Bengal to Malaysia. But as Jewel approached India the winds fell away leaving the ship becalmed. For days the crew suffered as the ship lay in baking temperatures waiting for the wind to pick up. With an eye on the calendar, Capt Saleh eventually called on the Indian Coast Guard for a tow to bring her in to Cochin in southern India.